Read this in your best Tony the Tiger voice: Giving is GREAT! As we all know, children are egocentric. They think about themselves first. They are wired to do that. It is our job to begin opening their eyes, minds and hearts to the joy received in helping and caring for others. 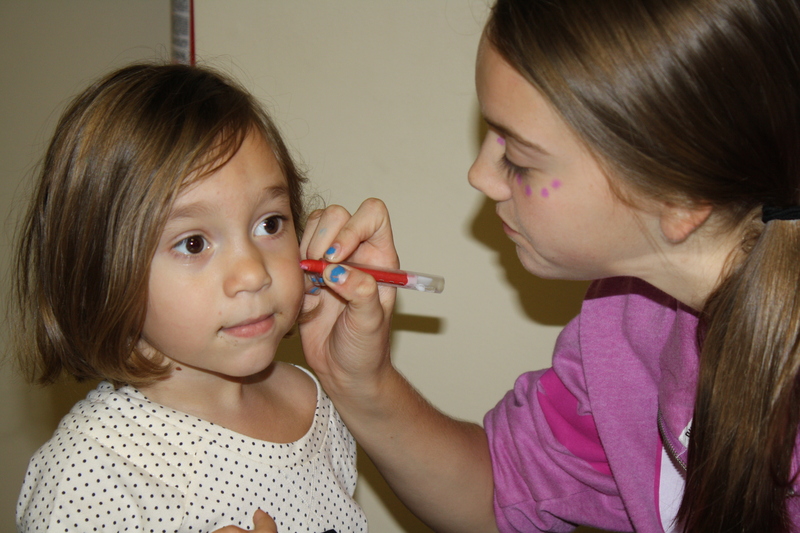 At Aldersgate Preschool we offer several ways throughout the year for our families and children to reach out to others. Recently it has been a true joy to read notes of thanks and to deliver the goods of our efforts. Aldersgate United Methodist Church: While this one actually was self-serving, we were glad to be able to contribute toward the purchase of a new air conditioner. 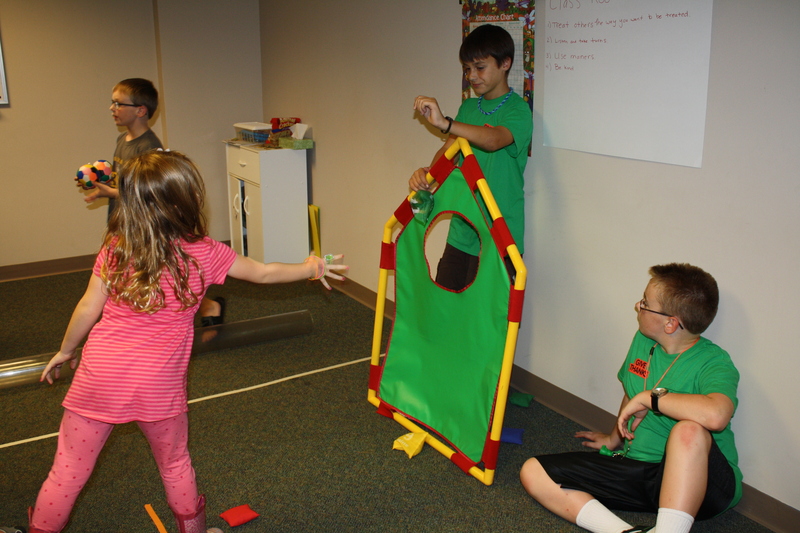 Pastor Shelly captured the essence of our collaborative relationship well when she wrote, “We appreciate the on-going partnership for ministry we enjoy with the Aldersgate Preschool. We are in ministry together and your gift is a great example of how we support and encourage the ministry of each other. 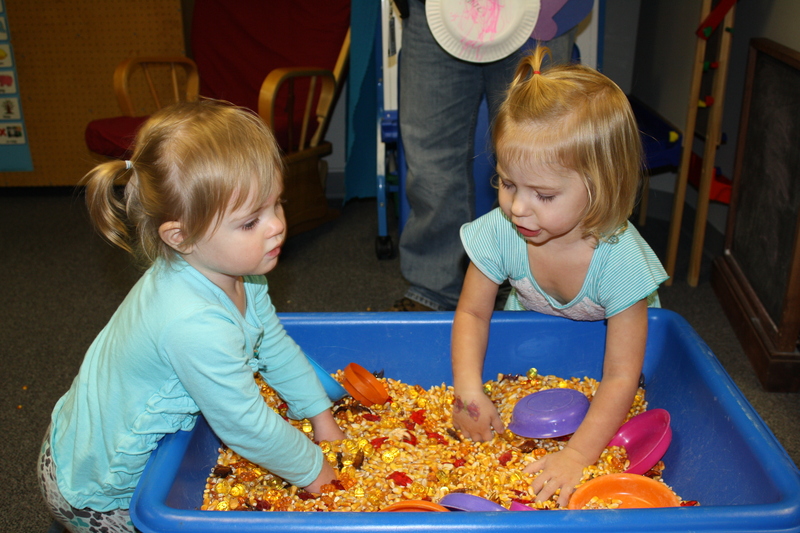 ” We thank our families for their support through fund raisers that enabled us to make this gift. 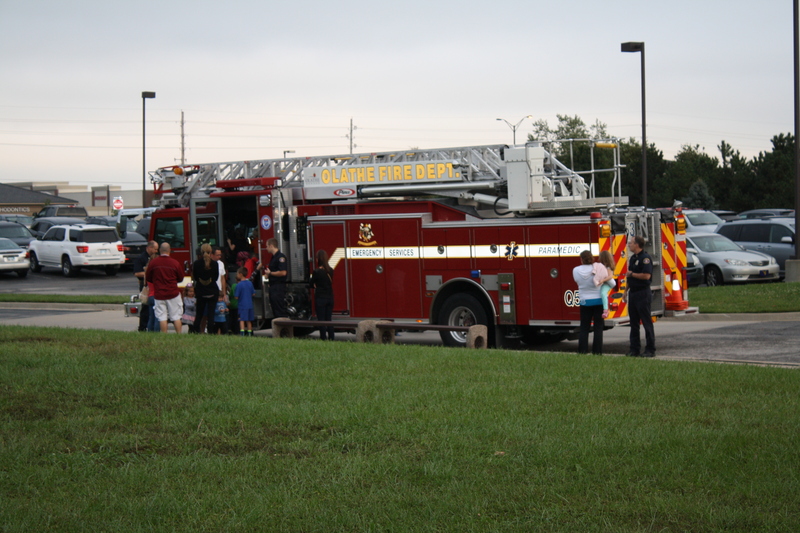 Westview Elementary School: Aldersgate United Methodist Church has a long established tie to this Olathe Title I school We were honored to host a Scholastic Book Fair this past June in an effort to provide this school with new books! We enjoyed a couple of story times using a few of the books. 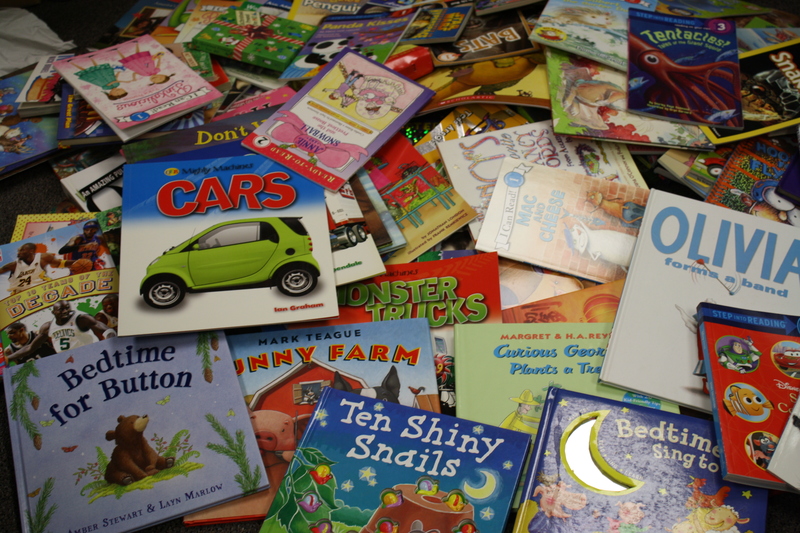 We purchased many new books for our preschool library. 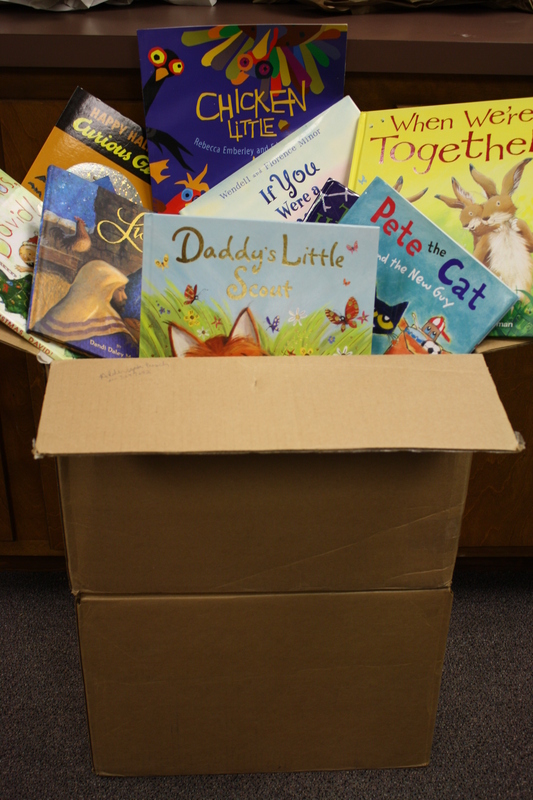 But more importantly, we were able to gift $1100.00 in books! Amazing! Here is a little glimpse into the fun we had as we unpacked this large shipment – and these pictures just don’t do justice to the full scope of the number of books. Can’t you just imagine the joy a child will feel and he explores the literature world through vibrant new pages. 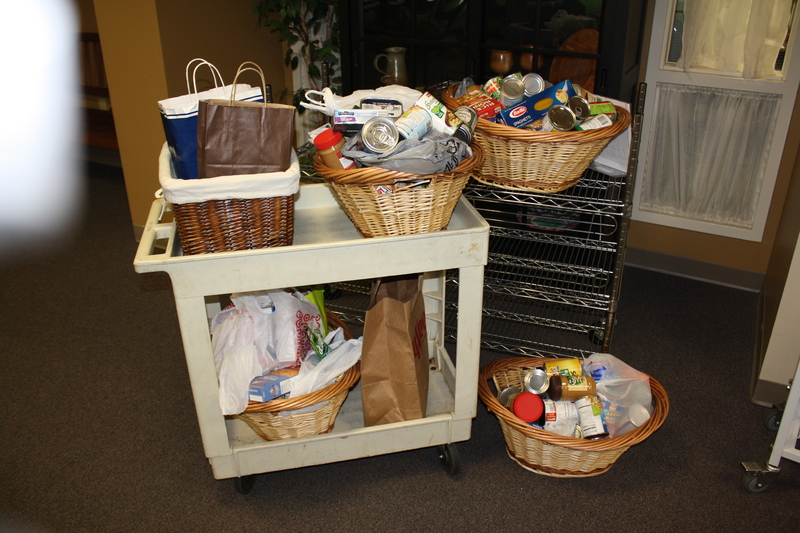 Mission Southside: Our families were so generous with donations at our Fall Festival worship. We were pleased to be able to take a large supply of food that will be distributed locally in backpacks each Friday. Local families in need will now have some food over the weekend! Discipline is the topic parents ask about most often. I understand. I remember. Raising young children can be challenging as they grow and work through the many phases of development. It seems you just start feeling like you have things figured out and then, BAM, there’s a new behavior you are not sure how to manage. I would love to be able to offer a few simple words of advice for all situations. Ha! It’s not that easy. One thing I do often say is, “The most effective parenting is often the hardest on the parent.” I know that’s not what you want to hear so I will save more on that subject for another time. Today I want to tell you about a new resource available from Amanda Morgan of Not Just Cute. I have referred to this blog in a couple of previous posts. Not Just Cute is a well-written resource for parents and care-givers of young children. She offers a variety of posts dealing with behaviors. Amanda also has a free 20-30 minute eCourse video that shares an important piece to the behavior puzzle that parents and teachers most frequently overlook. You can find this (here). For those of you wanting a more in-depth coverage of the subject, Amanda is currently offering a discount price for her course, Parenting with Positive Guidance. Simply click on the link below. 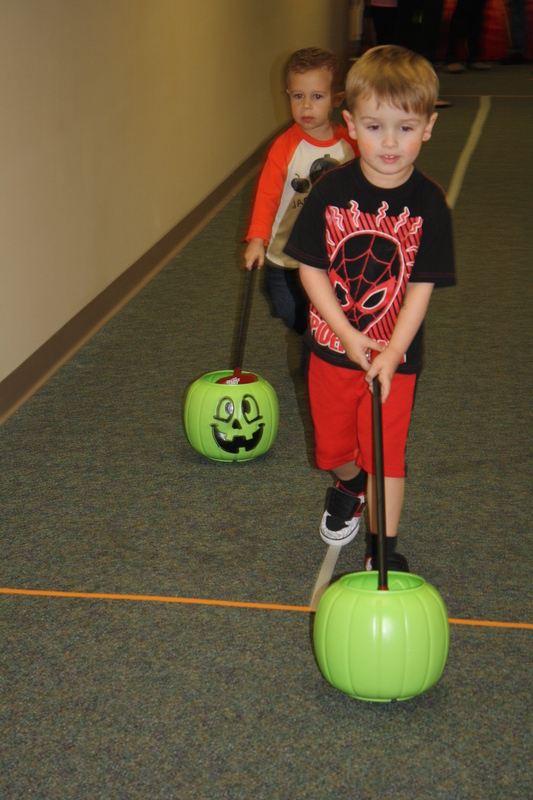 Fall Festival was great fun! Wow! 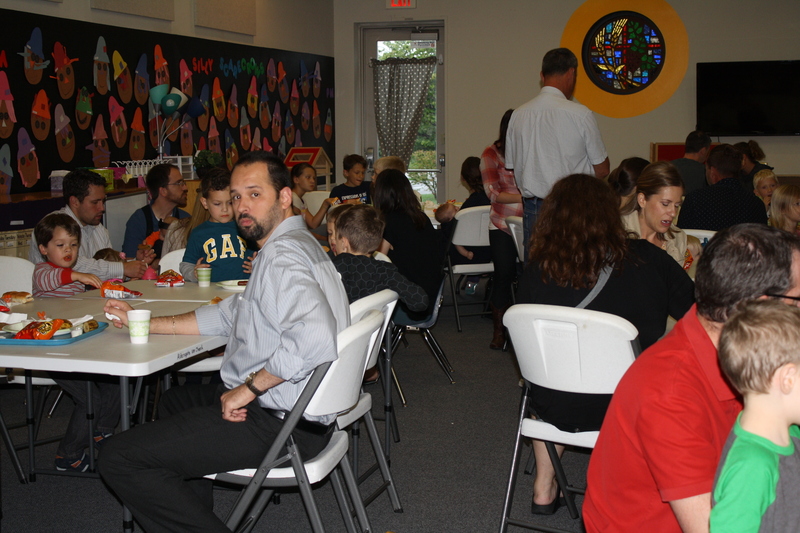 We had our largest crowd ever at our Fall Festival last Thursday evening. A little rain won’t damper our fun! 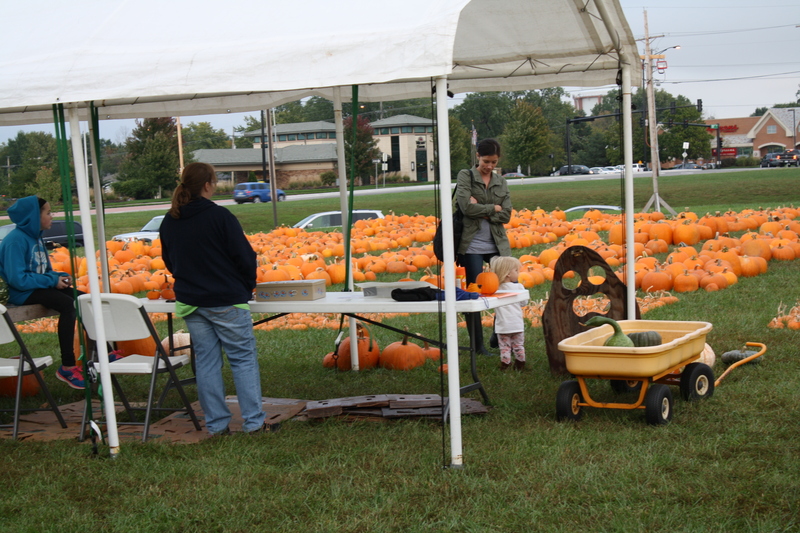 We plan special events like the Fall Festival with a couple of goals in mind. 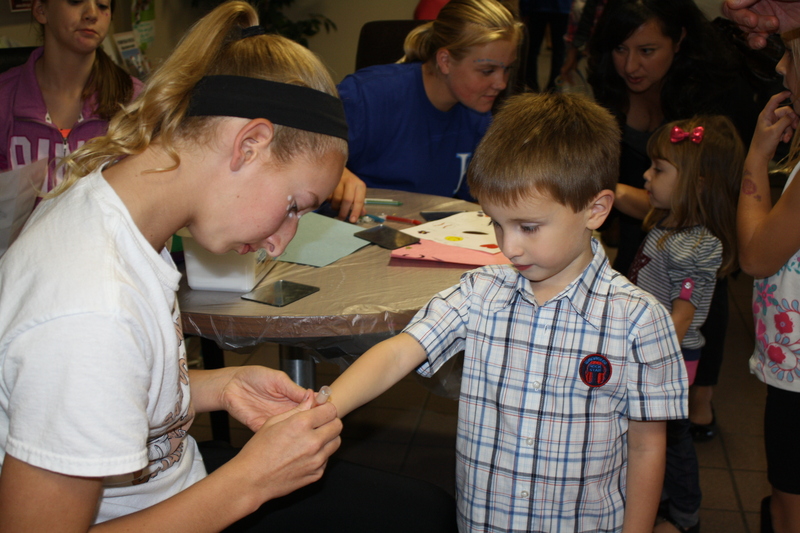 First and foremost, we want our families to have a chance to enjoy an age-appropriate fun activity together. We hope our families will get to know each other and build the foundations of relationships that will support both the children and the parents. 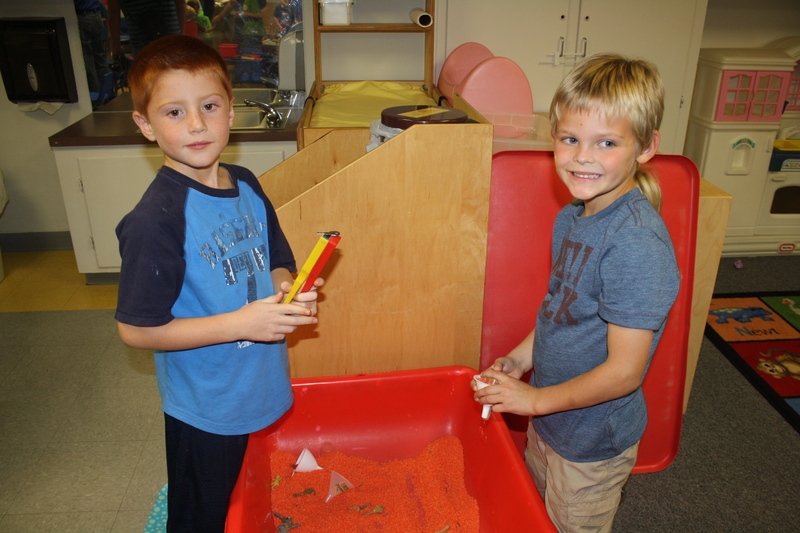 We enjoy having a chance to show you some of the activities we do while at school and to share some of the songs we have learned. We didn’t have the camera out during the worship time but I saw many of you capturing that for memories. I love my time singing with the kids as we learn the songs. It’s my time to get silly with them and also to help them learn a few new things. Did you notice we even had one song that was a round (like Row, Row, Row Your Boat.) This is a skill for the kids to learn to stay on their part while the teachers sang something different. Also, our Two Little Sausages song was a huge hit. I loved that the kids experienced how instruments can represent the words and action of the song. Our classes will follow this up giving the children a chance to try making the instruments at the appropriate times as they sing. I understand from several parents that the kids are definitely taking this song home. The Teager family talked about how the whole family had fun singing, “popping,” and going “bam!” Here are a couple of short videos of their family doing this chant. I challenge each of you to take a video of your family singing and share it in the comments of this post. I can’t wait to see them!